Misa Justa feat. Dianne Reeves, a Jazz/Classical Mass by Eduardo Gutierrez del Barrio. The new mass "Misa Justa," composed by Argentinean-born keyboardist Eduardo Gutierrez del Barrio, evolved out of his longtime artistic collaboration with Grammy-winning jazz star Dianne Reeves. After asking Ms. Dianne Reeves to sing on a demo for the first part of the mass, del Barrio was encouraged by her to continue developing it. The symphonic work grew into the "Misa Justa," which he calls "a celebration of womanhood." Reeves is spotlighted on five poems, one sung for each part of the mass, which world premieres at Los Angeles' Walt Disney Concert Hall January 29 at 8PM. "Misa Justa" encompasses jazz and classical components, featuring the Los Angeles Philharmonic Orchestra, conducted by William Henry Curry, and a choir singing Latin liturgy. Ms. Reeves' vocal solos are in English, and the mass' contemporary side also features stellar jazz soloists including Terence Blanchard (trumpet), Billy Childs (piano), Hubert Laws (flute) and Paul McCandles (oboe). Poet Patsy Moore wrote the lyrics for the mass' solo narrative voice. The five poems spotlight Biblical women, exemplifying what del Barrio feels is a higher attunement to the true teaching of the Christian faith on Harmony, Compassion and Love. Eve, Mary, Ruth, Naomi, Rachel and Mary Magdalene are represented in poems that he says evoke "the religion of God, not the religion of man, which separates us." Del Barrio rose to fame in the late '70s as co-founder of jazz-fusion trailblazers Caldera, and as a writer, arranger and player for Earth, Wind & Fire. His artistic liaison with Dianne Reeves also originated then, with highlights including his production of her album Art And Survival. In the 1980s, Eduardo began a long collaboration with music icon Herb Alpert, working on four of his albums and one from Stan Getz. In 1991, del Barrio -- with Alpert -- co-produced his solo debut, Free Play, a virtuoso fusion of jazz and classical music. Creatively, the album foreshadows the "Misa Justa," whose shifting styles and perspectives marry the classical and the modern, the symphonic and the improvised. "Misa Justa" is the fulfillment of a lifelong dream for the artist. In 1954, a mass written by his father, Ramon Gutierrez del Barrio, premiered in Sao Paulo, Brazil. As a boy, Eduardo was deeply moved by his father's music and vowed to someday write a mass himself. "Misa Justa" both honors Eduardo Gutierrez del Barrio's parents, and represents an important artistic milestone for its creator. 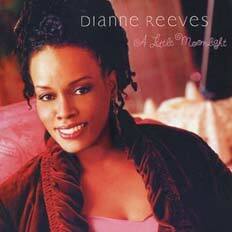 Dianne Reeves "A Little Moonlight" CD (2003): http://www.amazon.com/exec/obidos/ASIN/B00009V8VF/qid=1106156470/sr=2-2/ref=pd_ka_b_2_2/102-4632876-3872133.